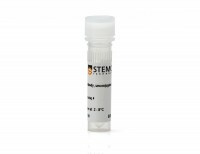 The OX-7 antibody reacts with rat CD90 (Thy-1) and mouse The OX-7 antibody reacts with rat CD90 (Thy-1) and mouse CD90.1 (Thy-1.1), the latter being an allelic form of CD90 expressed by mouse strains AKR/J, PL, and FVB/N. The OX-7 antibody does not react with CD90.2, which is expressed by many mouse strains, including CBA and BALB/c. 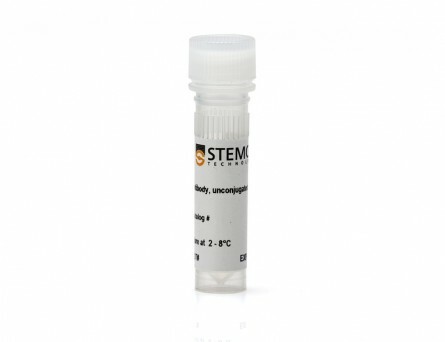 CD90 is a GPI-linked membrane glycoprotein and member of the immunoglobulin superfamily. The 25 kDa core protein is N-glycosylated at three sites, giving rise to molecules with a range of molecular masses (25 - 37 kDa). 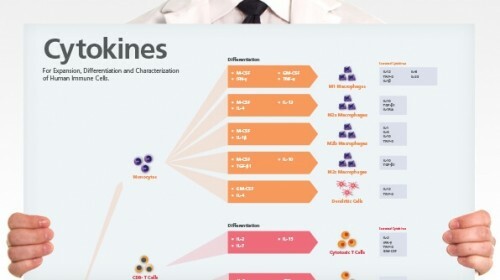 In the rat, CD90 is expressed by several cell types, including hematopoietic stem cells, immature B cells, thymocytes and neurons. 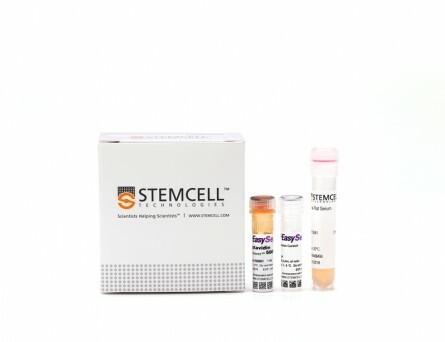 In mouse strains expressing CD90.1, it is found on early-stage hematopoietic cells in the bone marrow, thymocytes, and circulating mature T cells. The OX-7 antibody has been reported to induce leukocyte activation, glomerular nephritis, apoptosis in glomerular mesangial cells, and vascular permeability. 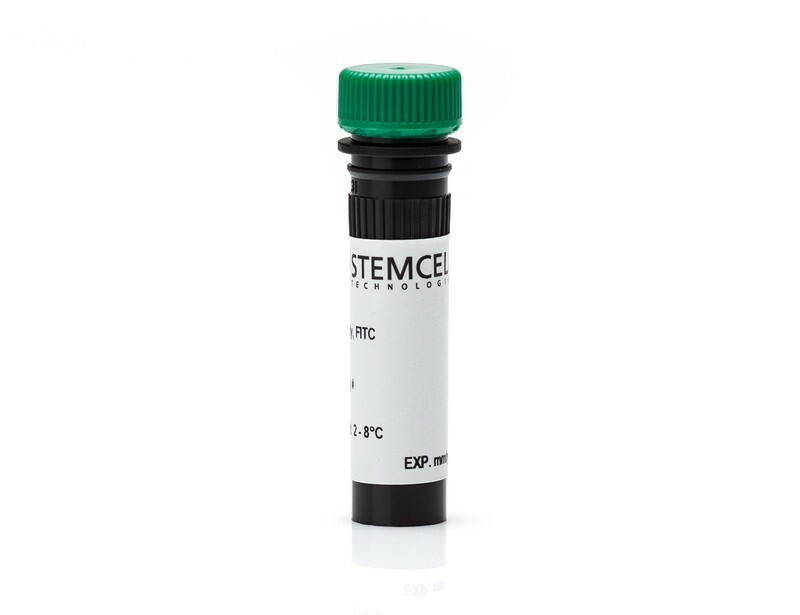 This antibody clone has been verified for purity assessments of cells isolated from compatible mouse strains with EasySep™ kits, including EasySep™ Mouse T Cell Isolation Kit (Catalog #19851). (A) Flow cytometry analysis of Sprague-Dawley rat brain cells labeled with Anti-Rat CD90 Antibody, Clone OX-7, Alexa Fluor® 488 (filled histogram) or a mouse IgG1, kappa Alexa Fluor® 488 isotype control antibody (solid line histogram). 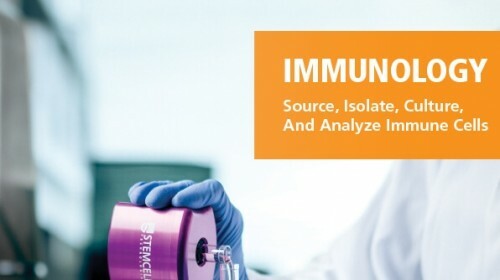 (B) Flow cytometry analysis of Sprague-Dawley rat thymocytes labeled with Anti-Rat CD90 Antibody, Clone OX-7, Alexa Fluor® 488 (filled histogram) or a mouse IgG1, kappa Alexa Fluor® 488 isotype control antibody (solid line histogram). (A) Flow cytometry analysis of Sprague-Dawley rat brain cells labeled with Anti-Rat CD90 Antibody, Clone OX-7, PE (filled histogram) or a mouse IgG1, kappa PE isotype control antibody (solid line histogram). (B) Flow cytometry analysis of Sprague-Dawley rat thymocytes labeled with Anti-Rat CD90 Antibody, Clone OX-7, PE (filled histogram) or a mouse IgG1, kappa PE isotype control antibody (solid line histogram). 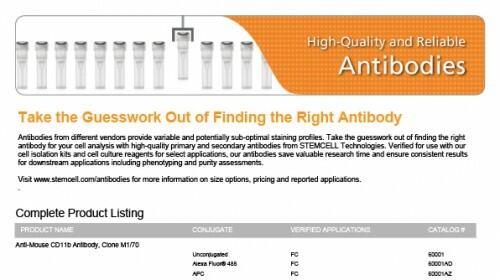 (A) Flow cytometry analysis of Sprague-Dawley rat brain cells labeled with Anti-Rat CD90 Antibody, Clone OX-7, followed by a rat anti-mouse IgG1 antibody, PE (filled histogram), or Mouse IgG1, kappa Isotype Control Antibody, Clone MOPC-21 (Catalog #60070), followed by a rat anti-mouse IgG1 antibody, PE (solid line histogram). (B) Flow cytometry analysis of Sprague-Dawley rat thymocytes labeled with Anti-Rat CD90 Antibody, Clone OX-7, followed by a rat anti-mouse IgG1 antibody, PE (filled histogram), or Mouse IgG1, kappa Isotype Control Antibody, Clone MOPC-21, followed by a rat anti-mouse IgG1 antibody, PE (solid line histogram). (A) Flow cytometry analysis of Sprague-Dawley rat brain cells labeled with Anti-Rat CD90 Antibody, Clone OX-7, APC (filled histogram) or Mouse IgG1, kappa Isotype Control Antibody, Clone MOPC-21, APC (Catalog #60070AZ) (solid line histogram). (B) Flow cytometry analysis of Sprague-Dawley rat thymocytes labeled with Anti-Rat CD90 Antibody, Clone OX-7, APC (filled histogram) or Mouse IgG1, kappa Isotype Control Antibody, Clone MOPC-21, APC (solid line histogram). (A) Flow cytometry analysis of Sprague-Dawley rat brain cells labeled with Anti-Rat CD90 Antibody, Clone OX-7, Biotin, followed by streptavidin (SAV) APC (filled histogram), or Mouse IgG1, kappa Isotype Control Antibody, Clone MOPC-21, Biotin (Catalog #60070BT), followed by SAV APC (solid line histogram). (B) Flow cytometry analysis of Sprague-Dawley rat thymocytes labeled with Anti-Rat CD90 Antibody, Clone OX-7, Biotin, followed by SAV APC (filled histogram), or Mouse IgG1, kappa Isotype Control Antibody, Clone MOPC-21, Biotin, followed by SAV APC (solid line histogram). (A) Flow cytometry analysis of Sprague-Dawley rat brain cells labeled with Anti-Rat CD90 Antibody, Clone OX-7, FITC (filled histogram) or Mouse IgG1, kappa Isotype Control Antibody, Clone MOPC-21, FITC (Catalog #60070FI) (solid line histogram). (B) Flow cytometry analysis of Sprague-Dawley rat thymocytes labeled with Anti-Rat CD90 Antibody, Clone OX-7, FITC (filled histogram) or Mouse IgG1, kappa Isotype Control Antibody, Clone MOPC-21, FITC (solid line histogram).